All of the 3G modems which comes with a particular service provider will be locked to that particular service provider. This is done inorder to avoid losing of the customers to their competetors. This is a very simple technique to use BSNL 3G modem with other service providers. 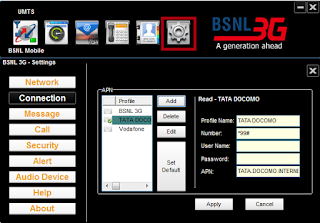 BSNL 3G modem (teracom lw272/lw273)comes with software lock. ie their is a setting which tells the software not to allow any SIM other than that BSNL. This setting is nothing but a registery entry with respect to the software. 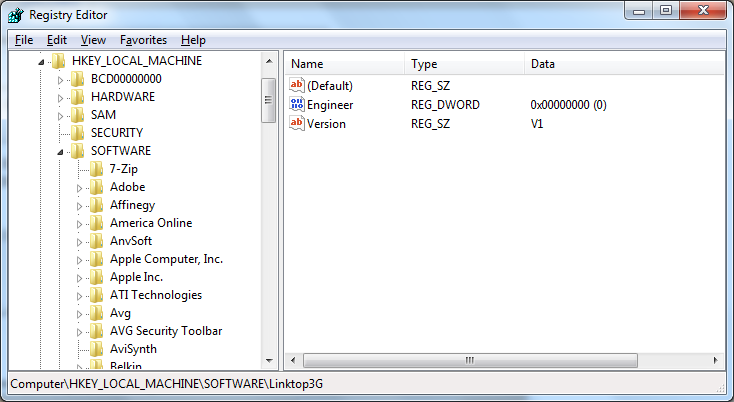 This setting is available at the registery location "HKEY_LOCAL_MACHINE\SOFTWARE\Linktop3G" with the name "Engineer". By default, after installation, the value of this registry variable will be 1. With this value, software will not allow any SIM other than BSNL. Inorder to use other 3G service providers, change the value of the variable "Engineer" to 0. This will enable the software to accept SIM from other providers. Now for connecting to other service providers like IDEA, AIRTEL, AIRCEL, Tata DOCOMO, Vodafone etc, insert the sim, add the apn for the respective provider and click connect. 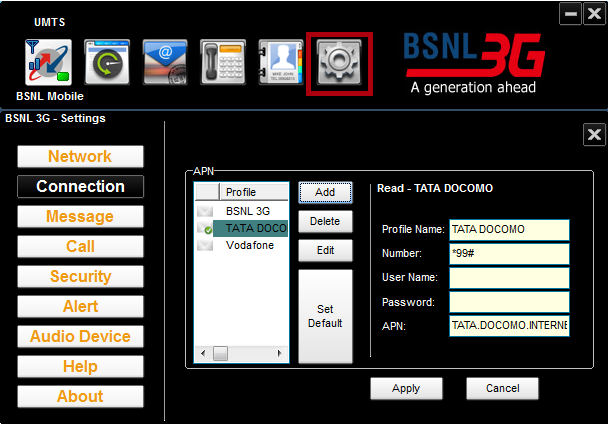 1) Copy paste the below listed lines on notepad and save as "UnlockBSNL.reg" and then double click. 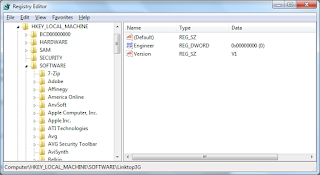 Select yes if windows asks for permission to edit/modify registery entry. Download "UnlockBSNL.reg" and then double click to change the setting. Thanks a lot..this BSNL 3G modem trick to use with any service provider is 100 % working for me..
please send same ragistry trick to unlock my idea netsetter E1550 to use with any service provider. Following are the details of my Idea Net Setter. Please send the trick as soon as u get this mail. Thanks a lot..u r such a genius . Thank you very much. it works fine. You need to set network selection to manual in some case. Hey thnx dude....I'm so thankful to u for this wonderful procedure u'v told me..!!! Thnx..Obliged..! !